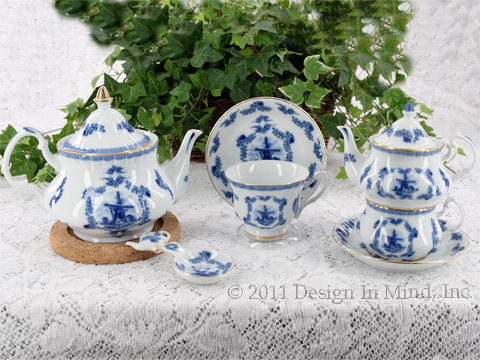 High quality porcelain tea sets in very traditional Victorian style. 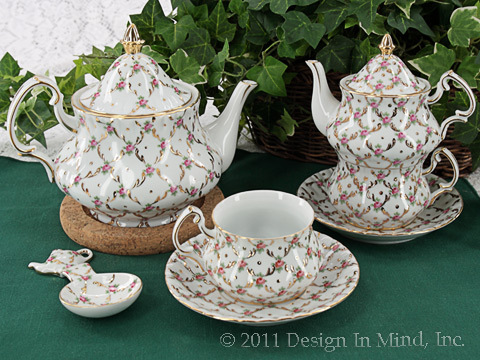 These sets are some of the best porcelain we've seen in years. All include gold trim and therefore cannot be used in a microwave and are hand wash only. 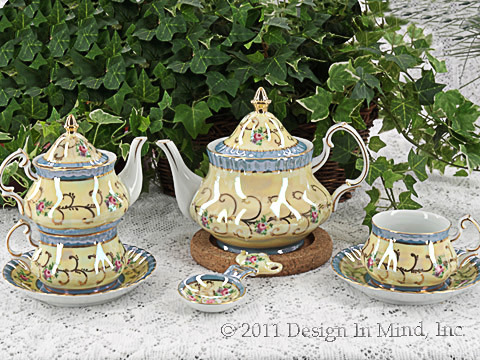 Teapots hold about 24 ounces and require a standard size tea cozy. Made in China.